Still in the hype of eating korean barbecues? Or are you the one who haven't experienced yet the surreal feeling of eating samgyeopsal? Are you planning to do so? Or even without the desire of eating it, I am very sure that you will like my next adventure! Arrive during non-busy hours if possible to avoid huge crowd. Best time to visit is around 11 AM and 4 PM. Make sure to come light, leave heavy. °Drop off at Sandiganbayan or Batasan Rd. 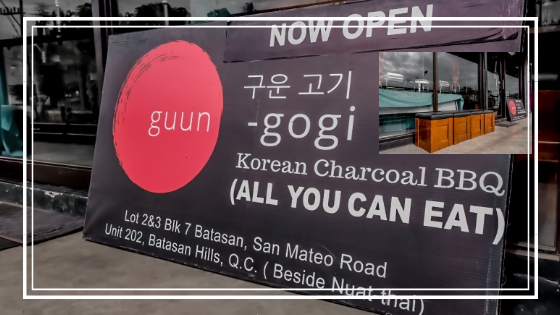 Guun°Gogi is a Korean Charcoal Bbq Restaurant that is said to be the First and Best korean charcoal spot in Batasan, Quezon City. The Korean phrase guun-gogi (구운 고기) means grilled meats in English. 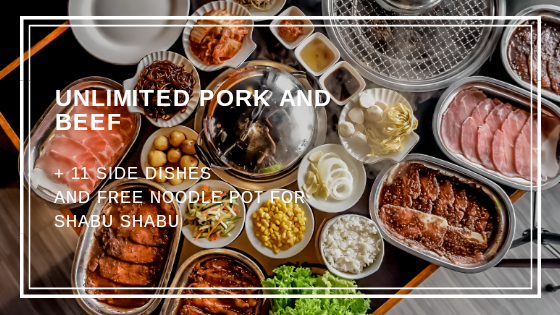 Guun-gogi offers unlimited samgyeopsal with variety of side dishes and hotpot perfect for those who have huge appetite. Very satisfyingly, this place will surely the answer to your prayers now! Korean BBQ restaurants are a trend lately so the competition is really steep but not around Guun-gogi’s location since they are the first one to open up a decent restaurant. We like that the owners Sir Gee Jay opted to take the unbeaten path by bringing better Korean BBQ experience and set to elevate your dining experience! 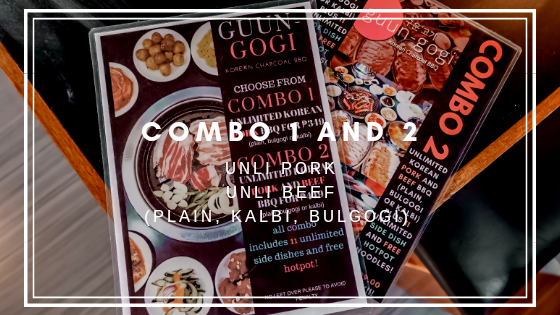 Me and Louisse were very excited to finally have an exclusive food tasting and restaurant visiting here at guun-gogi so here's our review about Guun-gogi! 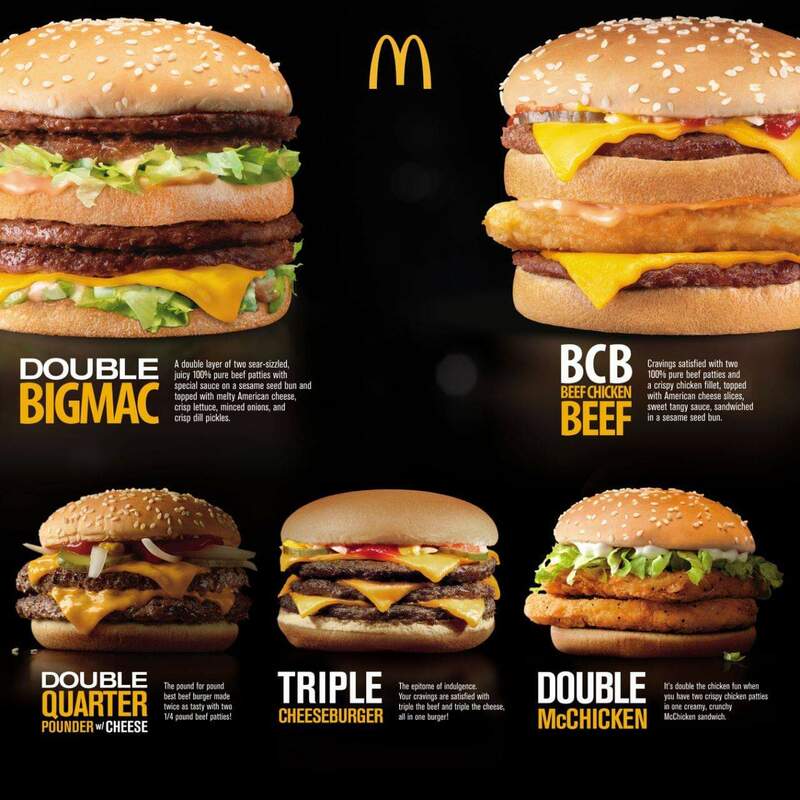 They offer 2 kind of menu combinations. The first one is the Combo 1 which includes, an unlimited korean pork bbq (plain, kalbi and bulgogi). The best thing about this combination is that you can only get it for Php 349.00 only! Very cheap yet satisfying! Sad to say because beverages are not yet included in the set but, you may opt to ask for service water, or buy separate bottled soda cans and soju. 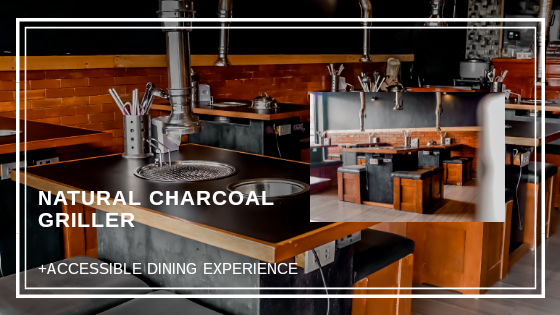 Talking about the design concept and the style of its interior, we like that they kept it simple yet the vibe is really inviting – black painted with faux brick wall, nice lighting and ventilation, and perfectly planned table spacing. (i really love the darkness and contrasting of the colors) These elements have seem to function accordingly so i have nothing against with it. 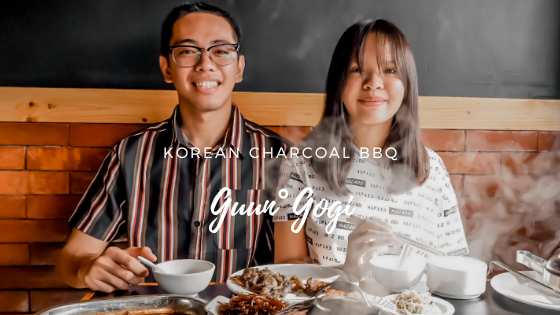 Unlike any other Korean Bbq Restaurants, what makes Guun-gogi more notable is that they use charcoal grill instead of butane (which made us feel safer during our visit). Based on experiences, we think that charcoal grill gives off better flavor to the meats and that it adds kick to it. I like how the cooking process prolongs the momentous experience while staying here. The place is superb, they have proper ventilation, well-planned spacing, the lighting fixtures are naturally amazing too! Me and Louisse just really love that the place can never feel too crowded or suffocating compared to other Korean restaurants that we have visited that tends to overcrowd their place. Also, we like that each table has its own overhead exhaust pipes that makes ventilation better. To be fairly honest, we fell in love with their customized table wherein diners can grill on the other side and cook and experiment on their hotpot on the other side as well. 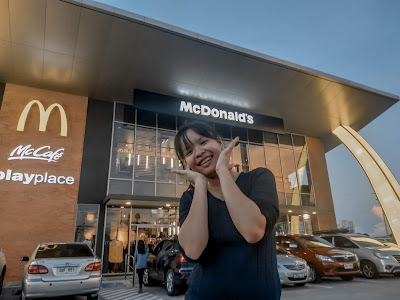 The moment we entered the restaurant, all their staffs were very welcoming and pleasing and that's what really important in every dining experience. Nothing's much better than an overwhelming service and very accommodating and approachable employees! 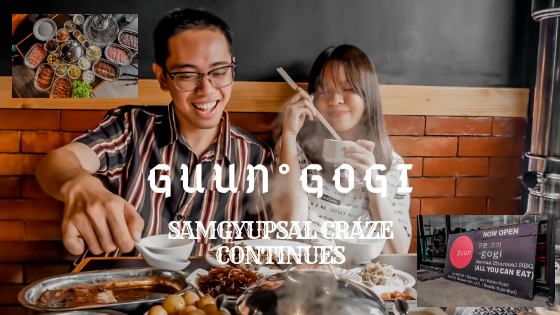 ☑ Guun-gogi now adds up to our #SamgyeopsalCrazeContinues It is a place wherein everyone can indulge in very good quality grilled meats and experience authentic Korean cuisine. We do hope they will eventually branch out to many places. SOON! Thank you Sir Gee Jay for having us! We really enjoyed Guun-gogi's food and services. ☑️Plain meats doesn't really taste plain at all. ☑️Variety of side dishes coming your way! Are you taking care the right steps to care for your skin? I will tell you my secret on how I achieved a brighter and younger skin look in just a couple of weeks. 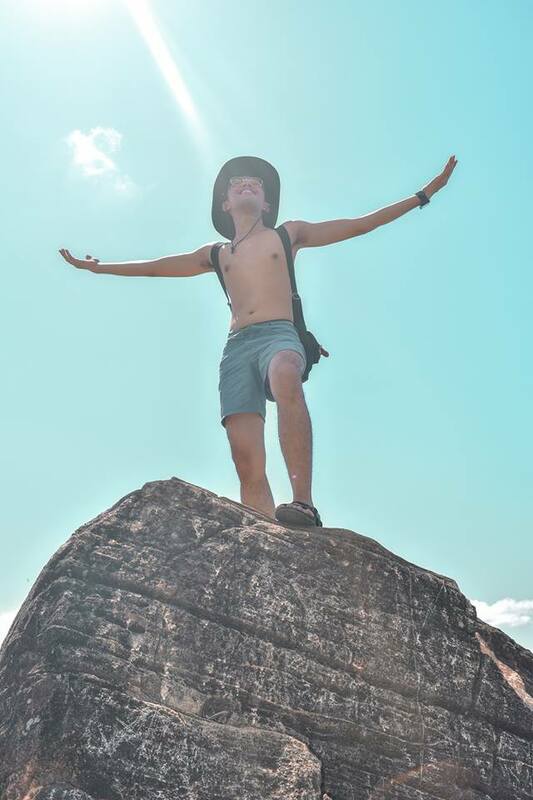 I used to hate my skin every now and then because It gets darker as I were exposed to extreme sunlight. My skin always gets dry and I hate how I spent money buying expensive whitening soaps, lotion and facial creams that were not really effective. It felt like wasting my money for stuff that were used only for commercial products but are not efficient and necessary. Good thing I've found Hypione, which is a reselling Business handled by young Entrepreneur, Mr.Keanu Habawel Tocyap under JC Premiere. Mr.Tocyap and I had a great deal about Hypione and JC Premiere so after while, i tried using #GlutaFit and #OmniWhiteSoap and here are the good things I've found! When I first heard that there are whitening soaps from JC Premiere, I got curious. I've heard the brand/company JC Premiere years ago but honestly, I haven't tried any of their products until now. OmniWhite Soap is a highly effective whitening product that contains the ingredients of oxidized Glutathione, Licorice and Alpha-Arbutin. It is an antioxidant that results to a brighter and youthful skin. It is stable in water, cream, lotion and other aqueous solutions thus it can easily be absorbed and applied directly on the skin during bath. The packaging comes in a white box and the soap is color white too. The scent is very mild and smells like a milk. 1 box/bar of soap is priced for Php 228.00 for 135g. When it comes to skincare, there are certain words that we regularly use to indicate positive results.From “bright,” to “bouncy,” to “plump” — we know all of these words mean our skin looks beautiful and youthful — but what exactly does each word mean?Better yet, how do we get our skin to be bright, bouncy, and plump? 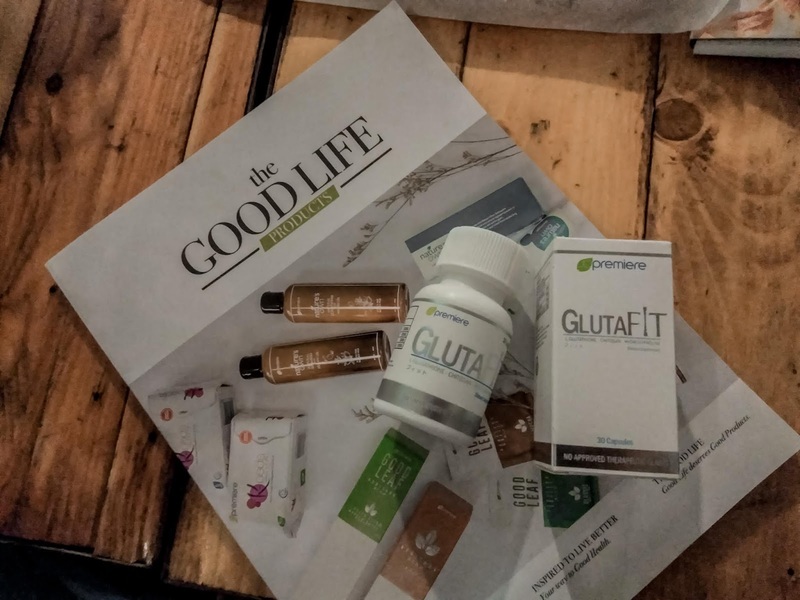 GlutaFit comes now with a new look. 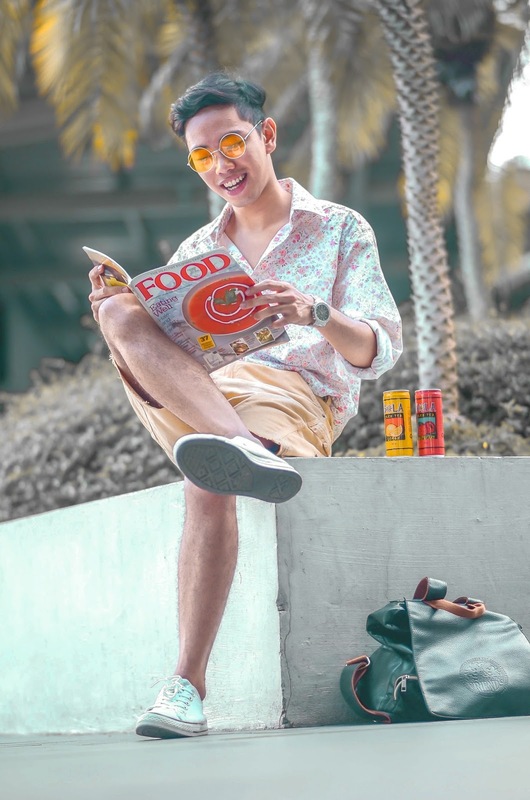 Shop it here 👉 http://bit.ly/HypioneDon't forget to follow Hypione on instagram @hypioneph. style, elegance, and self expression." In everywhere I go, I usually having a hard time thinking of an accessory that will best match my outfits. I'm stuck in between choosing a good bracelet or a watch; But most of the time, my wristwatch neither complements the style of my ootd's nor adds up highlights on my over-all look. So instead of giving me an outstanding image, grotesque watches just ruin my fashion sense. Great thing I've found LEUPP Watch : The Purveyors of Time Machines! I can now flaunt in high-class with their wristwatches. 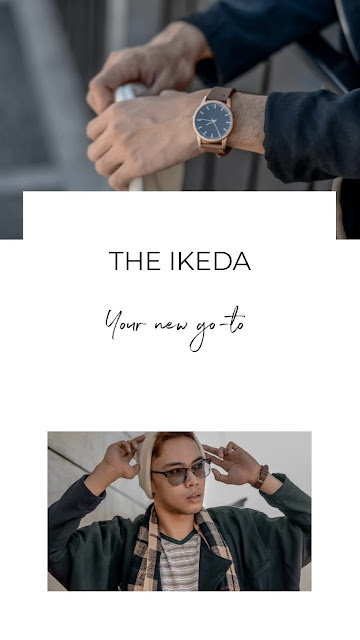 This new go-to watch is really genius in style and aesthetics. Unlike any brands nowadays, LEUPP produce a variety of traditional wristwatches with the touch of contemporary designs. It has the ability to reduce the complicated to the simple. 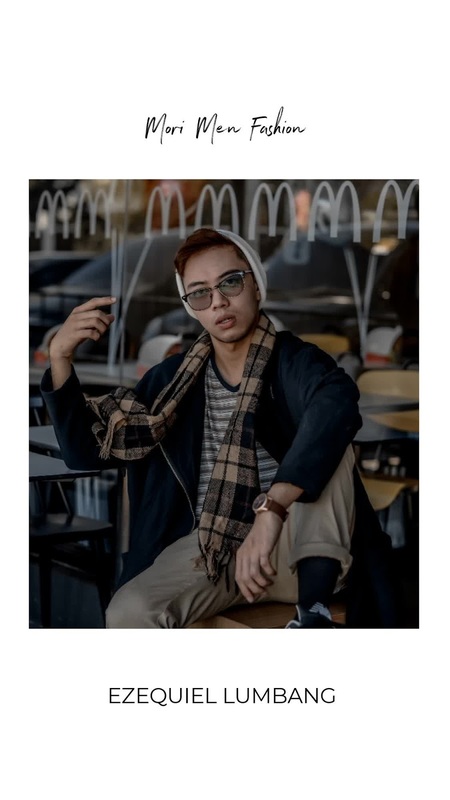 The modernist watches provide a neutral look and a subtle or serene ambiance that actually balance your street-style and classy image. Care label: Use a soft dry cloth to wipe off dirt, perspiration ad water from the case and crystal. 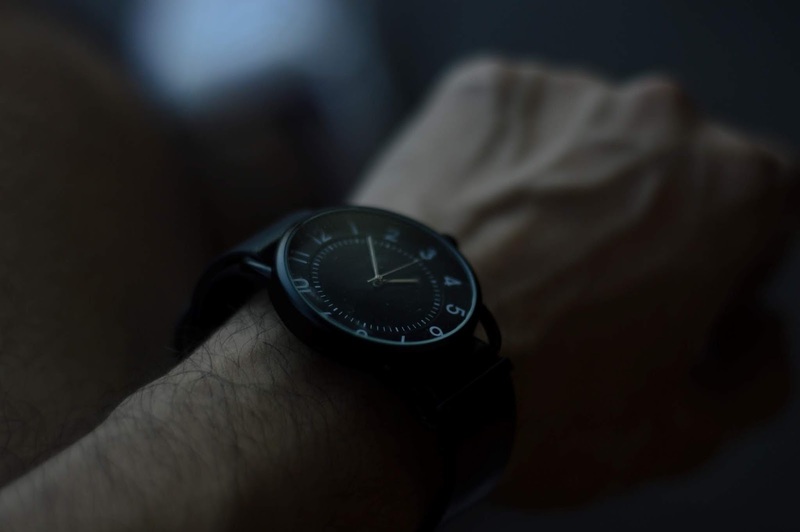 A minimalist and efficient wrist watch is just as perfect as your clothes for any occasions and on-the-go outfits. 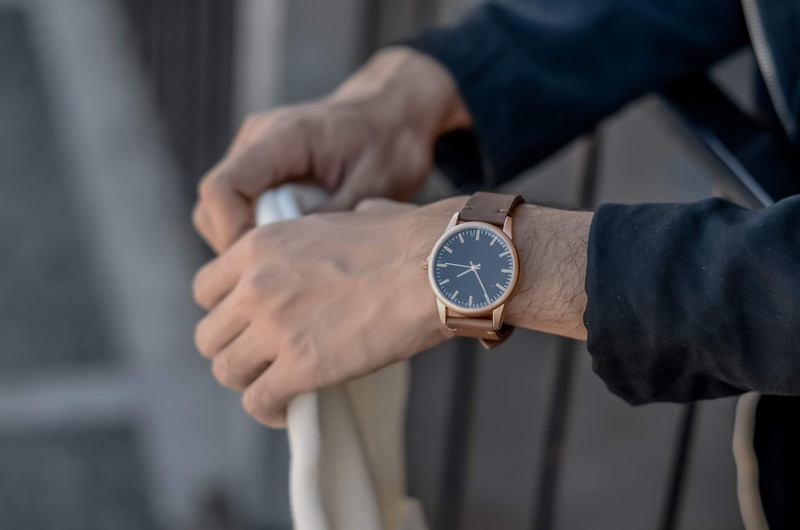 Its leather strap complements with the analog clock providing you a balanced and proportional look. The design is not only eye-catching, its simplicity gives a smart highlights to whoever sees it. And unlike any accessories, it gives a lovely affection to anyone who wears it. I love how simple the design is and it's just stunning to wear something like it because it gives me a classy look and at the same time its just perfect for any occasions. Nowadays watch designs are more complicated, there are lot of details which are not really necessary and is highly irrelevant, so i am really stunned how this IKEDA watch plays in simplicity and elegance. Do you find your traditional watch boring? 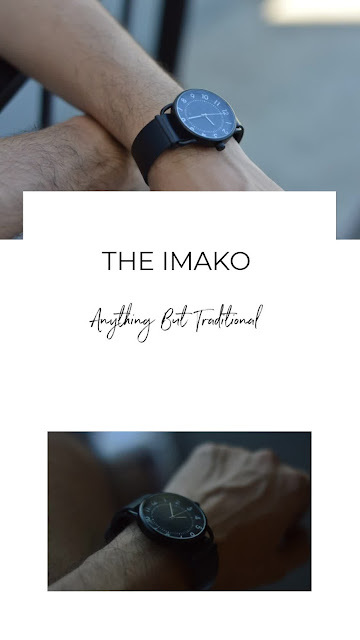 It's a big NO NO for The IMAKO watch by LEUPP. The genius design of traditional and contemporary style creates a very promising and appealing look to anyone who wears it. I really love how it gives me a sense of style which contributes to masculinity. 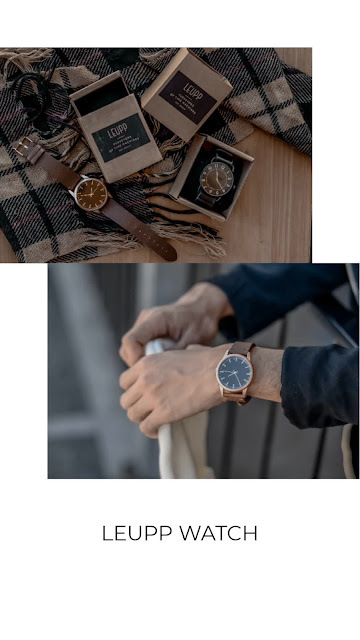 The strong appealing effect becomes now a high demand to any men because wearing traditional watches is anything but just perfect for any casual and formal events. This IMAKO watch recreates the traditional design with a contemporary look but the function remains the same and its just really cool knowing the fact that it's your old designed watch yet it rocks your look so you will stay trendy and fashionable! These are just actually few of many wristwatches that you can actually shop from LEUPP. There are variety of choices you can get and choose from that will surely match your taste and sense of style! Set to elevate your dining experience by introducing enhancements that will make everything from ordering to claiming you food a lot quicker and easier! -WIth McDonald's Newly open McKinley West Branch, The NXTGEN Store goes very digital with its futuristic architectural design and interactive new system of accessing your order without getting the hassle over the counter. designed to offer an enhanced experience in terms of dining experience. 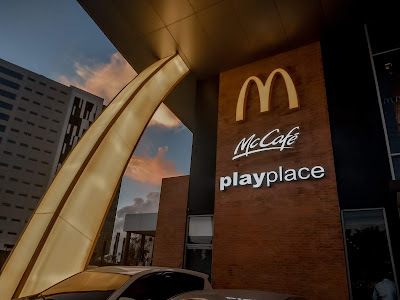 Aside from offering the usuals and the classics, this new branch also features a McCafe and a PlayPlace, so it’s the perfect place to be for those who want to grab a cup of coffee or those who want to bring their kids for a quick playtime after school. LOOK: We've Discovered How To EASILY ACCESS THE SECRET MENU!!! 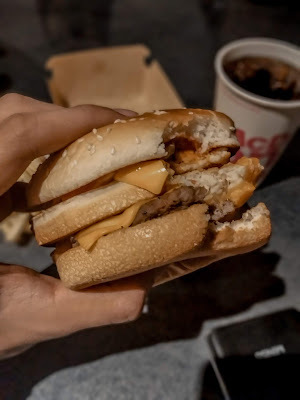 You might have heard in the past about the McDonald's "SECRET MENU", but admit it, no matter how curious you've been, some of you are still shy to walk up over the counter and order from the crew. The BCB (Beef-Chicken-Beef) and the Double BIGMAC. Our first assessment on our first visit: New look and vibe, futuristic but still having birth pains. The place is well new, and it’s got a new look. 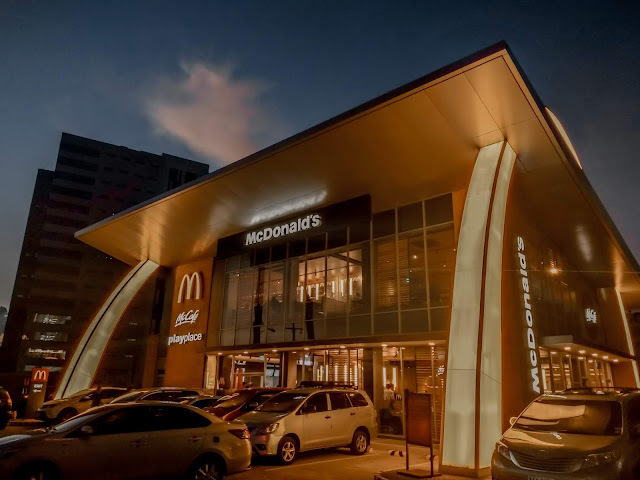 Design is different from existing McDo branches, so we can possibly expect old stores to be renovated into something similar. 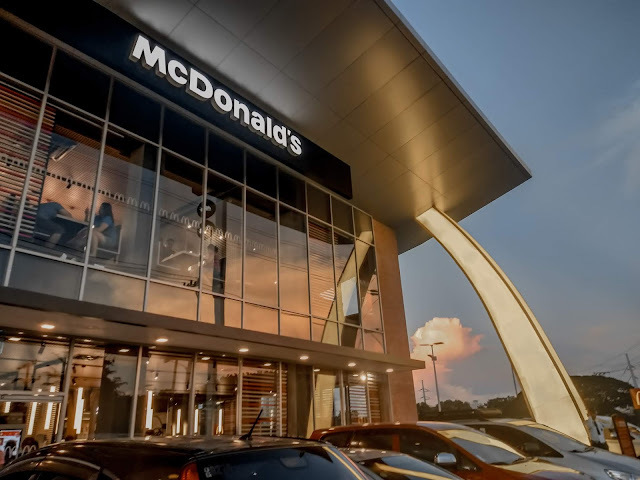 McDo NXTGEN, from the name itself, is McDo’s next generation of stores. It features self-ordering kiosks where customers can just select from the big touch screen their orders, and supposedly be able to pay via cash or via card (credit card, prepaid card, etc.) In short, self-service. Similar stores are making waves abroad as McDonald’s and other brands are moving towards more effective use of available technology, streamlining their processes for faster turnaround time and rationalizing their operational costs — eventually they get to save on manpower, thereby reducing costs.. The Kiosk accepts card payments and can accept orders from customers including all of McDonald's menu items. Once the order is completed, your number will be called at the Claim Counter for you to pick it up. assistance from the staff on-site! 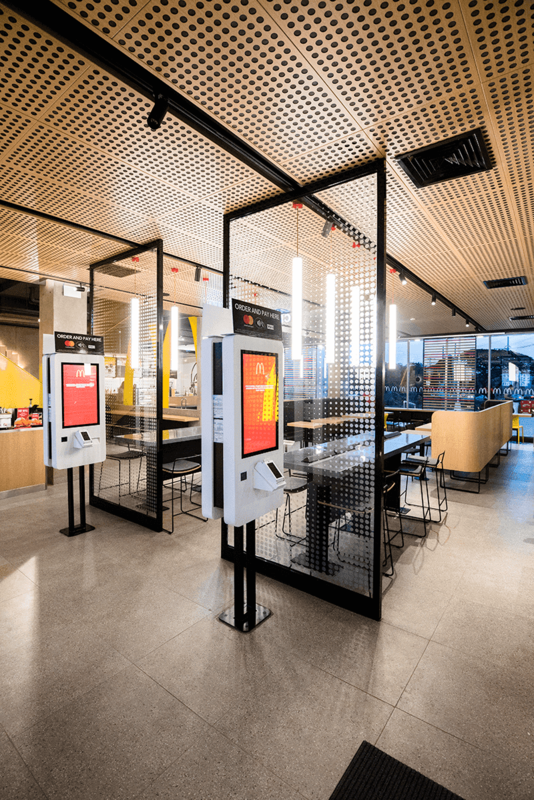 Guest who wants to pay in cash also has an enhanced experience with a dedicated lane for ordering with digital menu boards. There is a separate one for claiming your order. 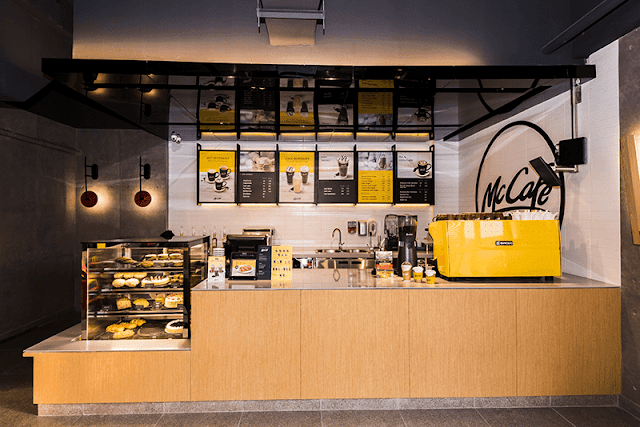 In addition to that, there are dedicated McDonald's crew who have been trained and specifically tasked to provide customers with NXTGEN experience. These are the crew wearing green whom customers can approach freely in case they needed assistance. Pretty cool right? THE FUTURE IS HERE. RISE OF THE MACHINES. 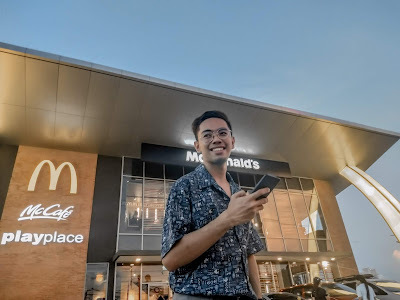 Suggestion: it might be good for McDo to slowly introduce CLAYGO (Clean as You Go) in the NxtGen stores, anyway the concepts are futuristic and self-service. In more developed countries, there are not too many service crews, only those who man the cashiers and the kitchen. Customers clean as they go after eating, even segregating the trash into food waste, biodegradable, plastic, etc. Here in the Philippines, we got used to too many service crews who serve us, cleaning the tables, getting us water, extra gravy, etc. The arrival of McDo NXTGEN can be a fun experience to those who just want to eat their favorite burger or chicken. But there’s no denying the fact, the future is here and machines are slowly taking over. And also, to the whole family of #TeamMcDo for giving us the chance to taste the new Burgers on the SECRET MENU before it was officially come out on the Secret Menu list!